Win the hearts of your close ones by sending this Premium Bamboo Basket Filled with Flowers and 2 Kg. 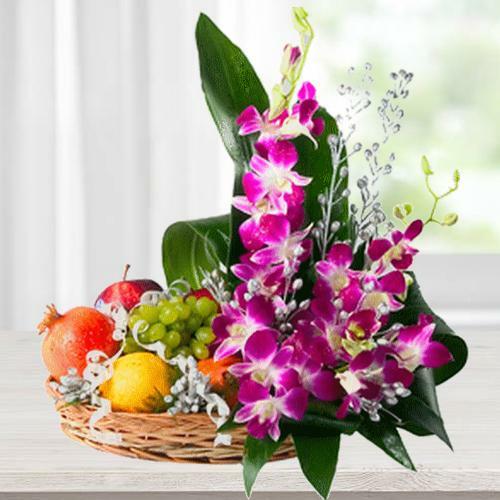 Fruits and mesmerize them by your sweet gesture. This is composed of various Fruits like Grapes, Oranges, Pomegranates etc.